In a large soup pot, heat the chuck cubes, butter, oil, onion, red pepper and garlic. Sauté for five minutes. Sprinkle in the flour, all the seasonings and the chicken bouillon. Sauté for a few more minutes to combine all the flavors. Add the water. Bring to a boil; reduce heat, cover and simmer a minimum of 45 minutes to one hour. Add the potatoes, carrots, corn pieces and tomato sauce. Bring back to a boil; reduce heat to low and simmer 45 minutes. When beef and potatoes are nice and tender, add the green beans and heat through. 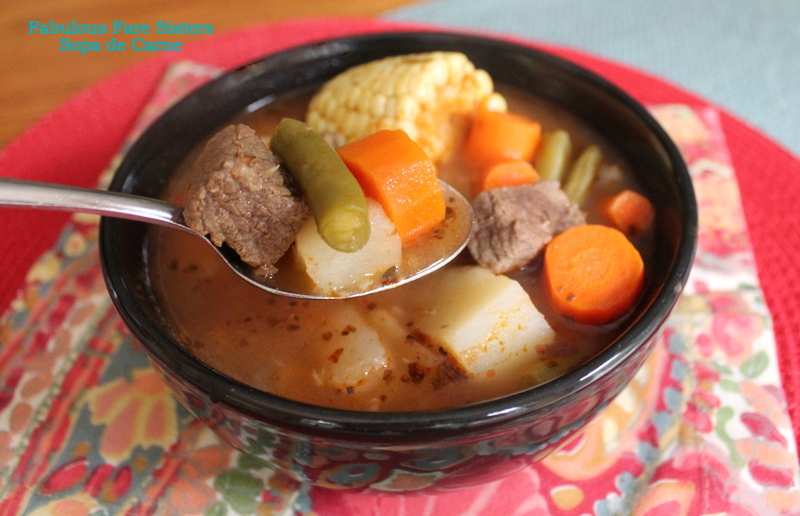 Serve a big bowl of this hearty delicious soup to your clan! 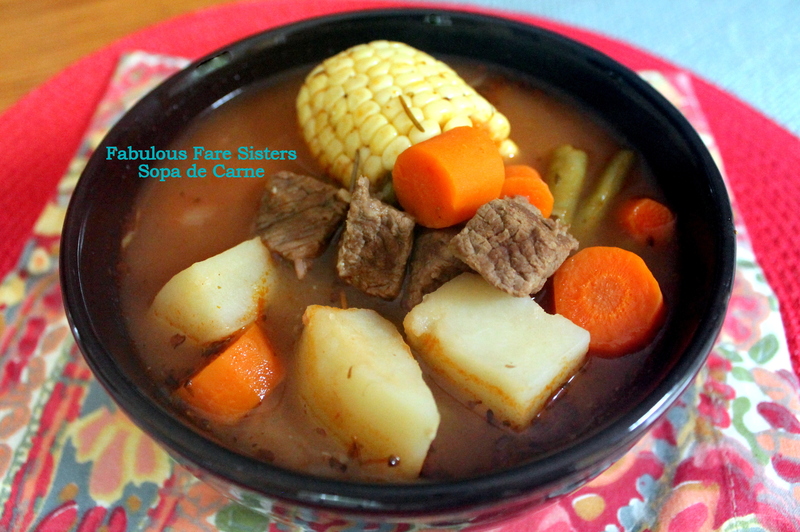 Enjoy the combination of flavors in this really healthy yet delicious Latin soup! If you’ve got little ones in the house, go ahead and put the soup in the blender (minus the corn cobs) and blend until smooth…your kids will love this creamy soup! Wow Linda. I love your version of beef stew It looks divine. Looks very hearty and wonderful! yes it is cold here!! windy, leaves falling and rainy! yes!! We raked it a couple of weeks ago and of course now there is more! Bags and bags! You soup looks so yummy! The weather has finally changed and a good soup like yours would be perfect right now! Awesome comfort food. Saving this for a chilly day! I look forward to hearty soups and stews this time of year. Nice photos.